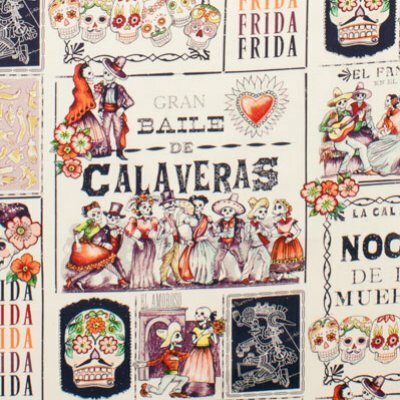 Baile De Calaveras, or "Dance of Skulls", by Alexander Henry features exactly what it says: a variety of mini-images of skeletons dancing, along with sugar skulls and posters announcing the upcoming ball. 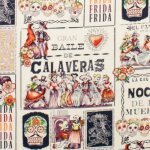 Images of Frida Kahlo and Katrina are also in this print. 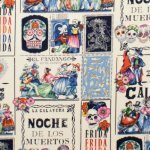 The fabric represents the depth of culture involved with the Dia De Muertos festival in the Southwest. 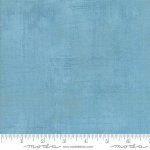 The tea colored background swirls with marine-blue shades to create little pieces of art on the fabric.